Data is fast becoming the new weapon of choice. Those who dominate data will dominate power because power comes from insight into other nation’s activities. Harness that insight and you become more powerful than any other adversary. One of the ways of harnessing that insight is through powerful computational power, such as Quantum Computers (see our special report on Quantum Computers here). These computers will have the ability to break codes and passwords in seconds. The US, China and Russia all know this, which is why they are racing to create the most powerful computers possible as well as the artificial intelligent algorithms that will be run by those computers. Chinese scientists are currently developing a next-generation supercomputer capable of performing 1 quintillion (a billion times a billion) calculations per second, which, if successful, will further enhance China's leading position in the field. 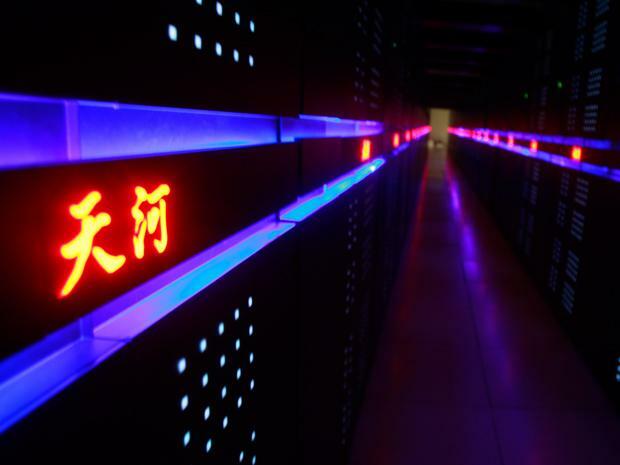 Tianjin's National Supercomputer Center is working with the National University of Defence Technology in Changsha, Hunan province, to develop the super scale computer. Meng Xiangfei, assistant director of the center, says the aim is to make the computer by 2020. All the hardware and software is to be developed by Chinese engineers. Not to be outdone by the Chinese, the US recently unveiled “Summit.” According to Dave Turek, vice president of high-performance computing and cognitive systems at IBM Summit is “the most powerful, smartest supercomputer in the world,”. It will crunch through roughly 200 quadrillion mathematical calculations each second, a speed called 200 petaflops. That as fast as each of the planet's 7.6 billion people doing 26 million calculations per second on a handheld calculator. The marketplace is beginning to recognize that AI and high-performance computing are not separate domains but things that need be viewed as integrated. In that same speech, Putin also mentioned that he would not like to see anyone “monopolize” the field. “If we become leaders in this area, we will share this know-how with entire world, the same way we share our nuclear technologies today,” he told students from across Russia via satellite link-up, speaking from the Yaroslavl region. China realized the power of data long ago. It is common knowledge, especially by those who have travelled to China, that China only allows internet sites with which they control the data flow. As of May 2018, more than 8,000 domain names were blocked in mainland China under the country's Internet censorship policy, which prevents users from accessing proscribed websites in the country. That includes Facebook, Google, Gmail, Twitter, Instagram , etc., pretty much the top 500 websites that are not Chinese. The US has taken advantage of their unique position of being home to many of the most innovative technologies over the years. It has enabled them to harness vast amounts of data on all other countries where these US companies reside (except China of course). We know that the government has sanctioned companies such as Apple, Facebook or Twitter to hand over data on their users in a number of occasions. We also know from the Edward Snowden revelations that the NSA has developed a vast network of data sources. In spite of this leadership roll, the US position is being eroded quickly as the others play catch up. When it comes to applying facial recognition in China, the country seems to be farther ahead than any other. The Shanghai metro is developing facial recognition systems that will be placed at the entrance of each subway to verify the identity of commuters. A new police car can now do a 360-degree scan to identify faces at up to 60 yards awaywhile traveling at 75 miles per hour. Railway police use facial-recognition eye ware to identify someone in just 100 milliseconds from a database of 10,000 individuals. Unmanned convenience stores use facial recognition for payments, while Kentucky Fried Chicken uses “smile-to-pay”technology. China’s answer to Airbnb, Xiaozhu, will soon use facial recognition for check-ins. Chinese exam authorities are using facial recognition to catch cheatersfor competitive college entrance exams. So not only have they compiled a mass of data on their population, that data is now being made use of in powerful tools. One of the Chinese companies leading the pack is SenseTime, founded in 2014. Surveillance makes up a third of SenseTime's business. Their clients are local governments throughout China. SenseTime's clients also include private security firms and in fact, it supplies the core technology to seven of China's 10 largest security firms in addition to financial services companies, banks, mobile operators and the smartphone industry. They have become China's largest unicorn – defined as a startup worth $1 billion or more – with a valuation of more than $3 billion. Megvii is the countries second largest AI company. ”The government is pushing the need for this technology from the top, so companies don't have big obstacles in making it happen," says vice president Xie Yinan. "In America, people are too busy discussing how they should use it.” At the same time, China's State Council, has already laid out goals to build an artificial intelligence industry worth nearly $150 billion by 2030. China has consistently been ahead of the curve in terms of utilizing artificial intelligence (AI) for surveillance. The country’s CCTV system tracked down a BBC reporter in just seven minutes during a demonstration in 2017. 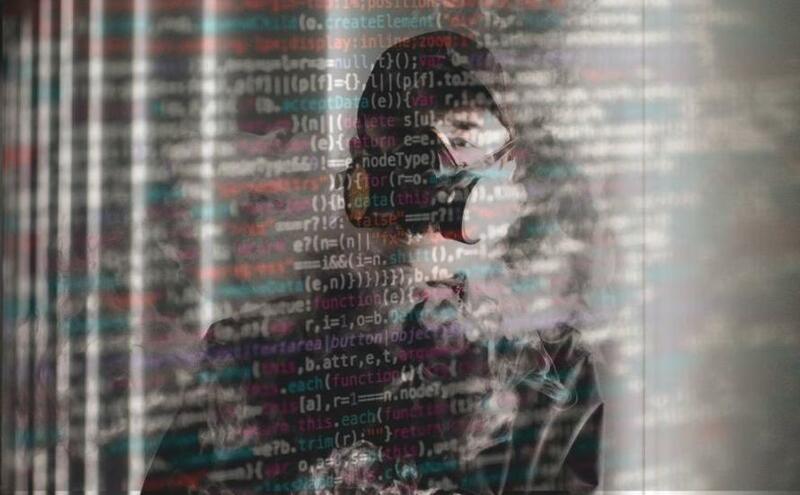 As technology advances, these governments and private companies will continue to compile data on each other and every individual they can in order to gain the upper hand on their adversaries. We recently learned that Cambridge Analytica had access to Facebook data, however they apparently only had access to Facebook likes. From this one input, their artificial intelligence programs were still able to design a profile of the emotional state of the users. Imagine what they will be able to accomplish with data coming from Amazon Echo (their data has already been subpoenaed in a murder trial to help catch a criminal), Google Home, Siri, iBeacons in thousands of retail outlets, cameras on the streets, Fitbits , etc., in addition to all those free websites, such as Facebook, Pinterest, Twitter or Instagram. Remember, if the product is free, then you are the product.